this terracotta T-Light Candle stand is absolutely pretty and useful to have at one corner of your bedroom or drawing room. 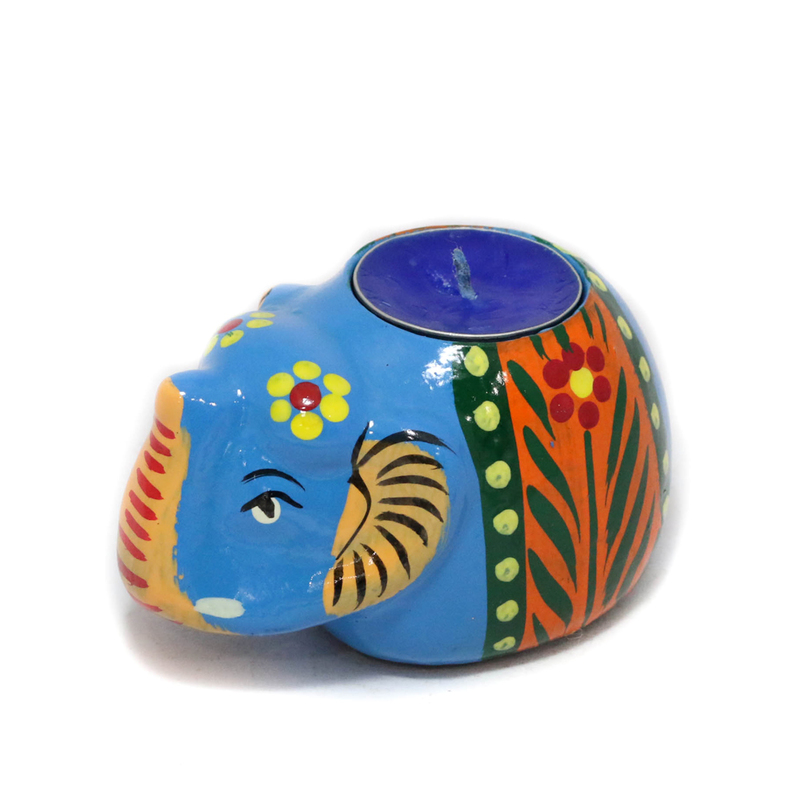 The entire stand depicts Read More..the head of an elephant. It is purely blue in colour and the candle is positioned at the top-center part of this artistic piece. Show Less..